a quiet A/C and a safe deposit box. 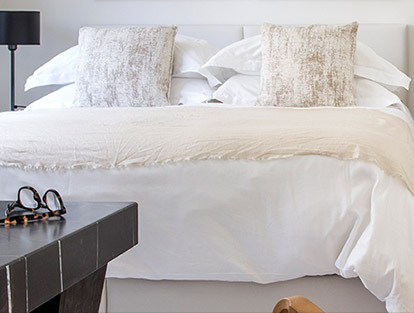 With a clean, minimalist design, these cozy 18-22m² rooms include a queen sized bed, plush Egyptian cotton bed linen, a pampering rain shower and custom-made toiletries created with the White Villa signature-scent. All rooms offer an espresso machine, a Smart TV, a quiet A/C and a safe deposit box.